I haven't seen this before and halfway through a install, I realized I really wanted a charging port in the dash tray. Install was pretty easy, you'll need to remove some dash pieces to route the power cable down to it's splicing point, but other than that it was smooth sailing. 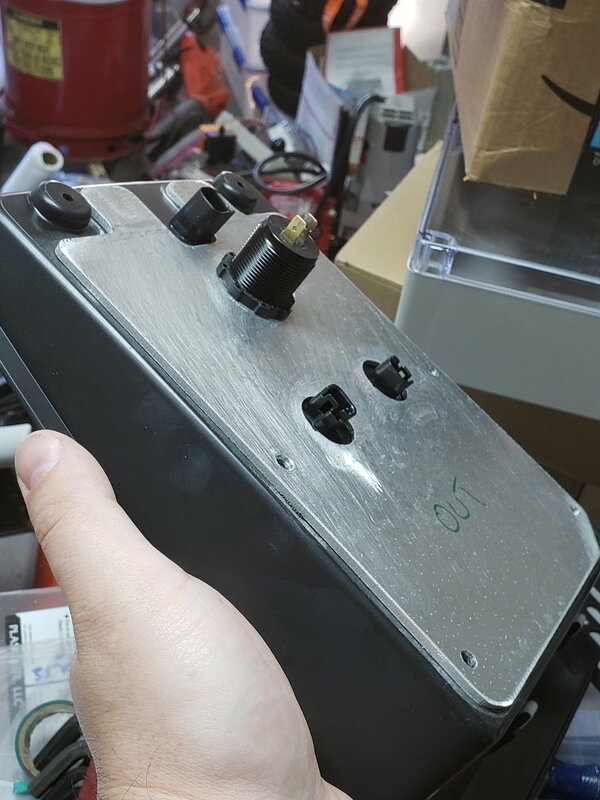 I needed to add a back plate made from aluminum as I didn't like the flex in the tray when I was using the plugs, but I'm sure the tray would be just fine without it. Good idea but it's going to get pretty hot up there for whatever is charging. 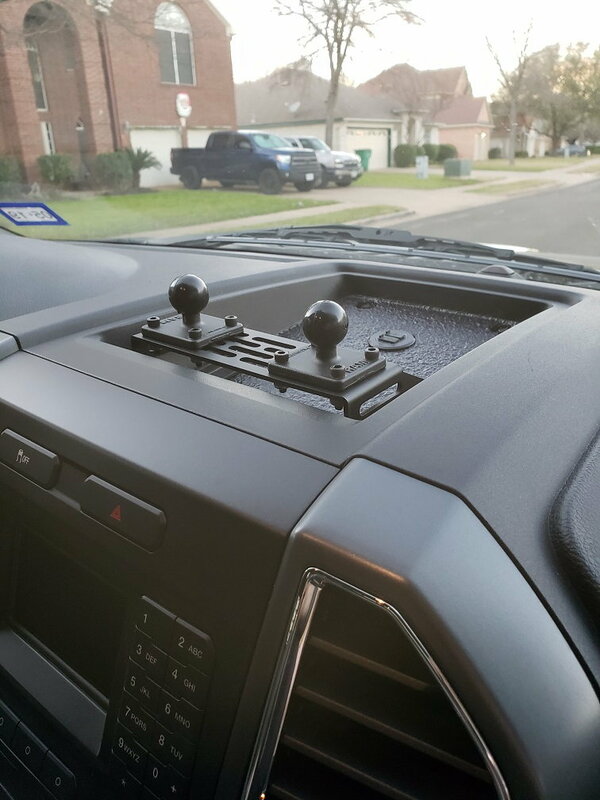 Would you be so kind as to post all the part #s for the RAM products (ball mounts and base bracket)? What are you planning on mounting there? I use similar RAM hardware in my boat for 3-5 lbs. of GPS/Sonar hardware, and it it has been pretty good for the last decade. 1" ball, I think. I'm sure it takes a lot more pounding in my boat, than it ever will on your dash, no matter how much you like to off-road. I see the holes, so I'm guessing the whole tray fastened down with bolts. I too would be concerned with the heat up there, but I suppose you could always remove the items if parking in direct sun in the summer. Bolts are #8-24 - 3/4"
Anything left on the dash would get pretty cooked anyway. But with the car still having the auto-shutoff for the cigarette outlets, I don't plan on leaving anything plugged in and sitting on the dash anyway. The main purpose of this set-up was so that I don't have cable draped across the radio face when I have the gps or phone being used for navigation. I'll be using this to mount my garmin, cell phone and a dash cam when out running around. Ram had dedicated mounts for most GPS units and these cool little " X-Grips" for mounting random cell phones. Quick Reply: USB charging socket in 16' dash tray.